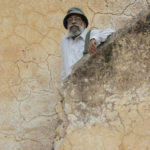 Himmat Shah was born in Lothal, Gujarat in 1933 and grew up in surrounded by the remnants of a prominent port city of Indus Valley Civilisation. He moved to Bhavnagar as a young boy and studied at Gharshala, a school affiliated to Dakshinamurti, the intellectual and cultural centre of the nationalist renaissance in Gujarat. At Gharshala, Himmat found his initiation into an-practice through artist-educator Jagubhai Shah even before joining the J J School of Art in Bombay, and then moving on to Baroda on a government cultural scholarship from 1956 to 1960. This renowned sculptor and draughtsman was a member of Group 1890. 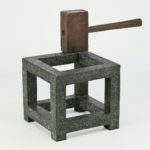 This artists’ collective initiated by J. Swaminathan looked to promote a unique form of art closer to Indian ethos distinct from the western traditions and schools, but it was short-lived. Jawaharlal Nehru, the then prime minister of India, opened its first and only show in the early sixties. Soon after, the group was disbanded and all its members continued with their respective art practices and their own agendas. Himmat Shah was no exception, as he evolved his own style and thematic idiom. 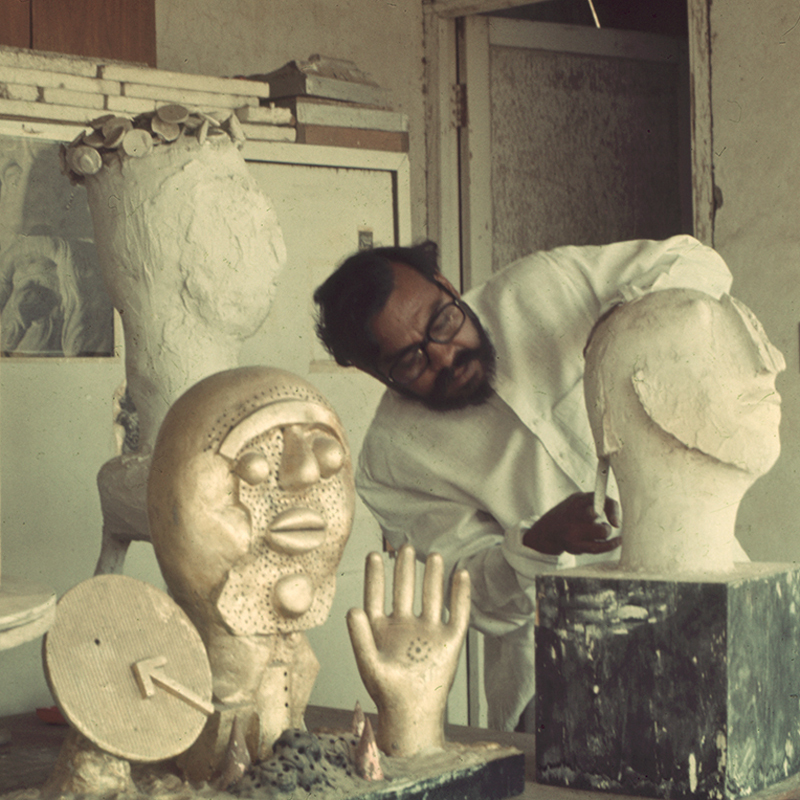 Himmat Shah is known more for his abstracted terracotta and bronze heads, considered his signature work. Among his most recognizable works is the series of sculpted heads in bronze and terracotta. As emblems of masculinity, they appear totemic and phallic wherein he uses printmaking techniques to score the surfaces. 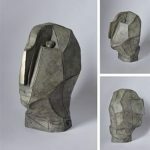 In fact, his reputation as a master sculptor has become so overwhelming that his ability as a printmaker has almost gone unnoticed. His color etchings are equally attention-grabbing. Shah’s solo exhibitions include Drawings and Sculptures, Jehangir Nicholson Art Gallery, Mumbai, 2007; Sculpture , Art Heritage, New Delhi, 2002. Group exhibitions include: Yellow Deity: Contemporary Indian Art, Ludwig Museum, Budapest, 1997; Rediscovering the Roots, Museo de la Nacion, Lima, 1997; Ninth Triennale – Seven Artists from the Collection, National Gallery of Modern Art, New Delhi, 1997; Festival of Indian Art , Moscow, 1996; and, the Biennale de Paris, 1967 and 1970. The artist lives and works in Jaipur.